Recently I receive many phone calls from existing and prospective clients asking the same questions – how to promote Facebook page or how can I get more likes on my business Facebook page? 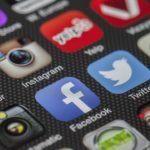 While in my opinion Facebook likes is not something that small businesses should focus on, for some it is totally necessary. Facebook page likes work well for businesses that try to increase brand awareness or businesses that participate in tenders and would like to show how many followers they have in their responses to RFP (Request For Proposal). 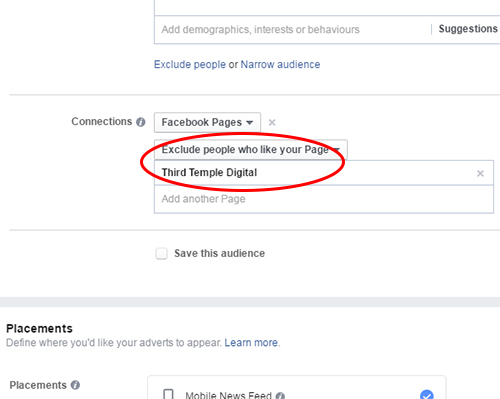 Today I would like to explain how to promote a facebook page without help of digital marketer. 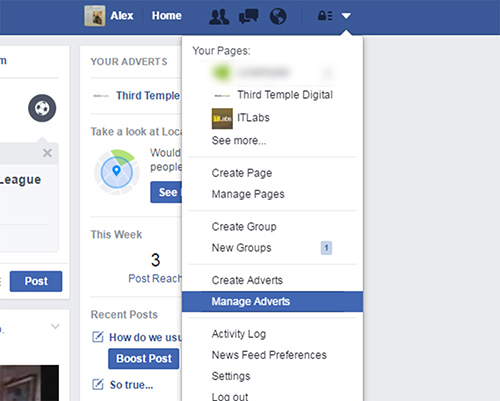 There are two interfaces in Facebook Ads that can be used for creation of new new campaigns: Adverts Manager and Power Editor. While Adverts Manager seems to be a bit less complexive I usually prefer to create all my campaigns with Power Editor. 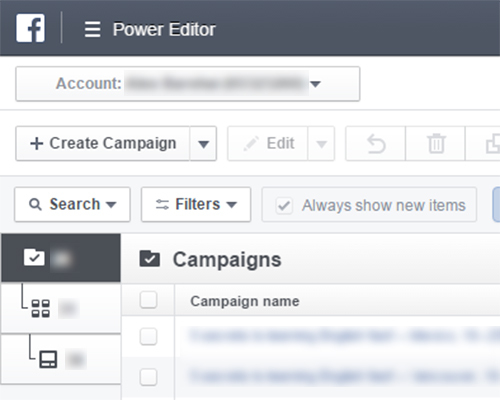 In some types of campaigns there are features in Power Editor that are not available in Ads Manager. 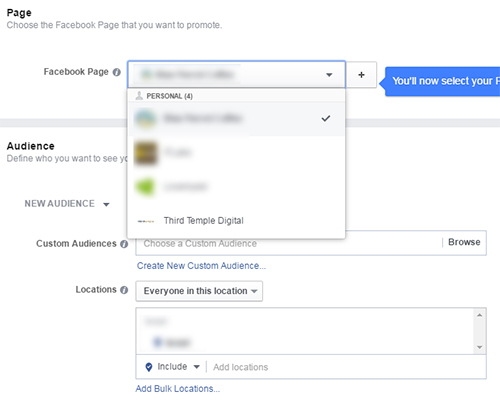 So How To Promote Facebook Page? 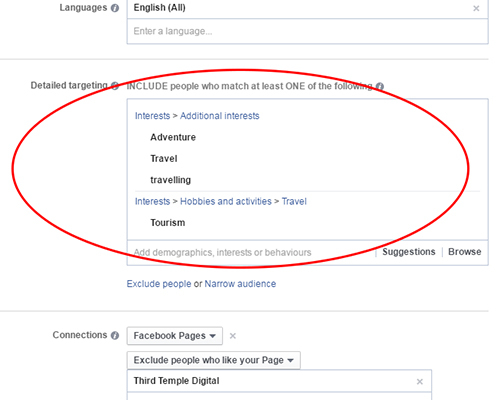 From your Facebook account click on the small arrow in the right corner and choose “Manage Adverts”. 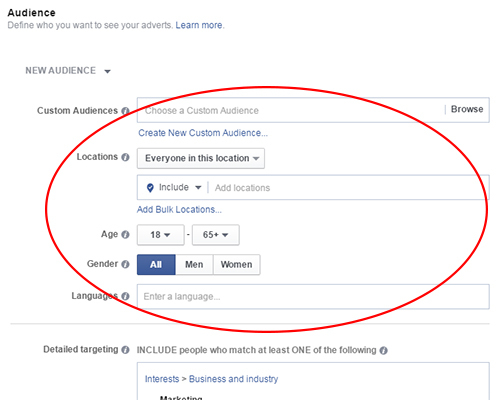 Please note that this option may not be available if your advertising account is not set up yet. In this case you will need to setup an account first. 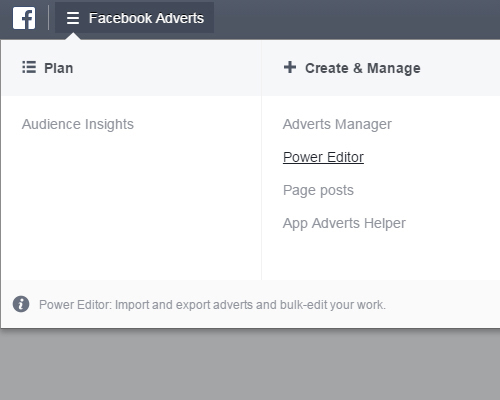 Click on “Facebook Adverts” at the top and choose “Power Editor” from drop-down menu. Give a name to your new campaign and click “Continue”. At this point we’ve chosen the campaign type and named it. Next step is Advert Set configuration. 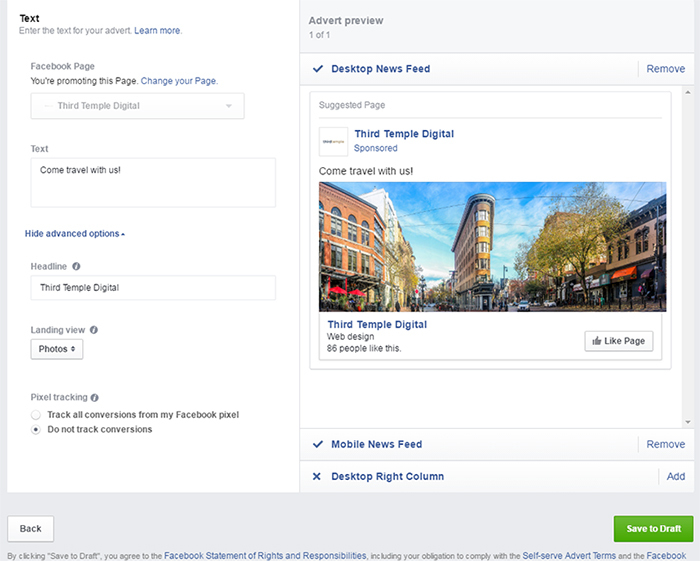 From drop down menu choose a Facebook Page that you want to promote. Next we will choose our target audience. 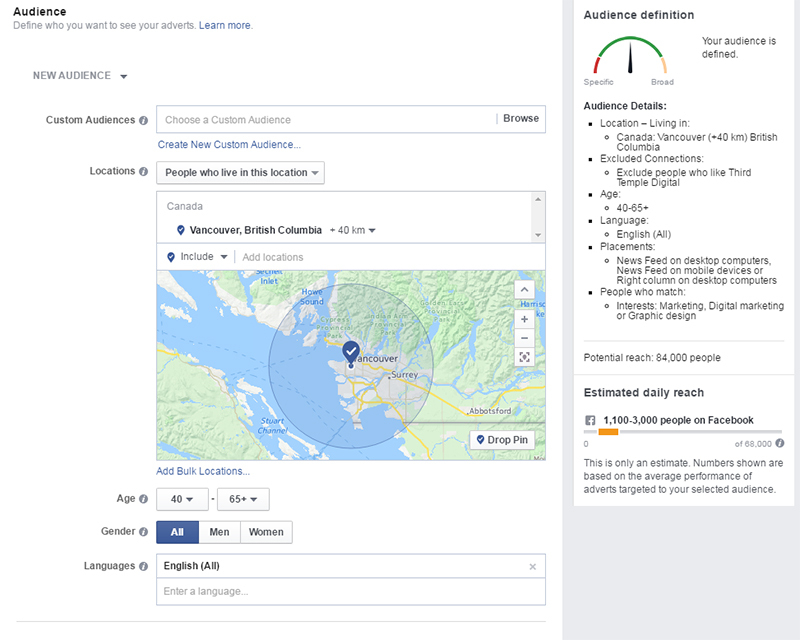 I will assume that we don’t have a custom audiences yet and we will have to create a new target audience based on your type of business and location. Just as an example I will configure a possible audience for a luxury travelling company that offers a small group tours. The company offers tours from Vancouver, BC and targeting people of ages 40+. Also we would like to target people that speak English only. In this case I will choose a people who permanently live in Vancouver. Please note that on the right side you can see an estimated number of people that can be reached based on configured parameters. In Detailed Targeting section I picked the interests and hobbies that my potential target audience may have. In this case it can be “travelling”, “tourism” or “adventure” hobbies. This part is extremely important as we don’t want to serve our ads to somebody that is not interested in seeing them. 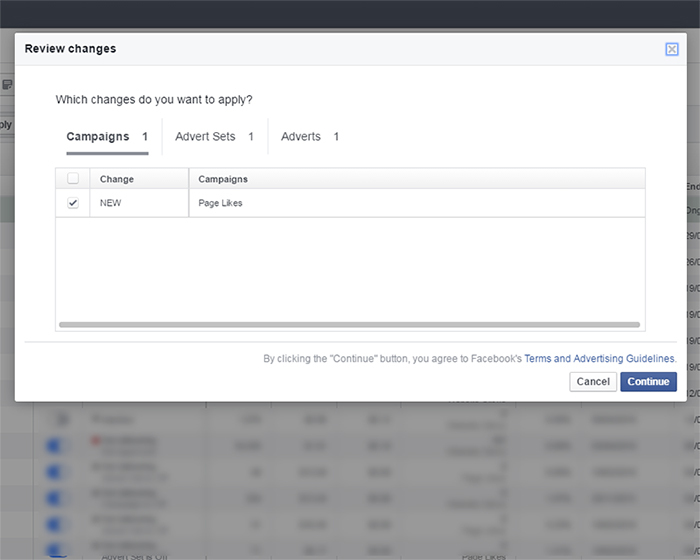 In Connections section we can configure some additional conditions in regards to will see the ads. For example if I don’t want to serve the ads to people who already liked my page I will choose to exclude them from my target audience. Now we choose were the ads will be placed. In most cases I prefer not to show the ad on desktop right column. 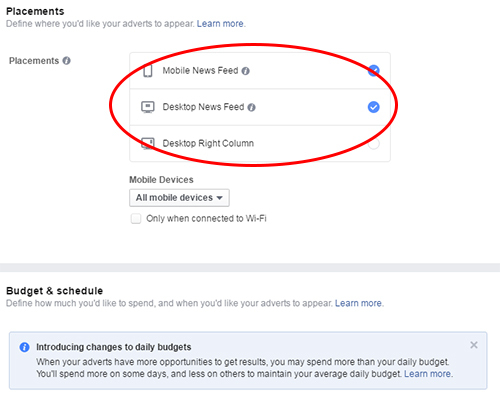 Based on my experience most of people don’t pay attention to the ads that are not in their news feed. 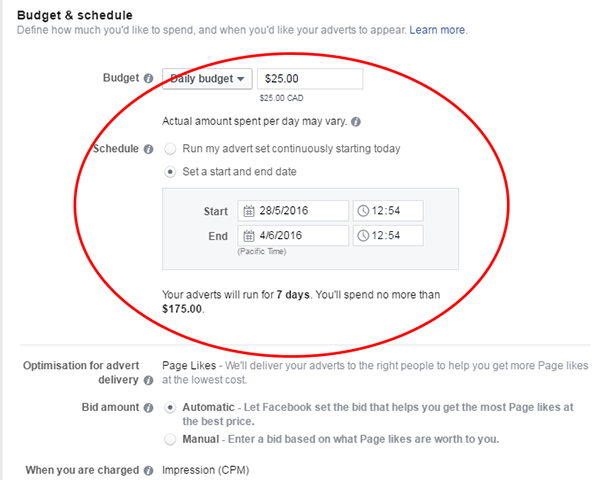 In Budget and Schedule section we configure the daily advertising budget. I also like to set the end date for my ads. For this ad I set a daily amount of $25 and the ad will run for one week. There are few more optimization options available. They can be very usefull for A/B testing or in case we know that our audience is very active around specific times of day. Name your Advert Set and click “Continue”. In Advert section we will configure how our ad will look. 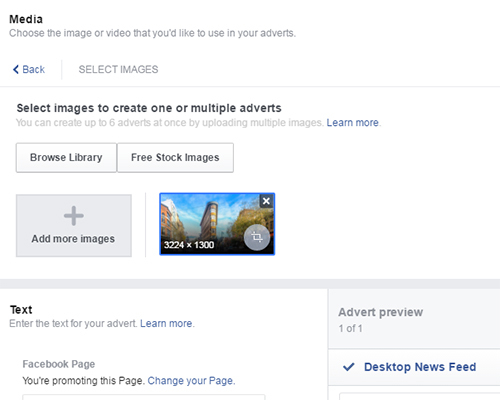 There are few options available for the ads: Images, Slideshow and Video. For the sake of example I will choose one image. If I click on “Images” section few options will be available. We could use one of free stock images offered by Facebook or use our own image. I will use my own image of beautiful Gastown neighbourhood of Vancouver in this example. 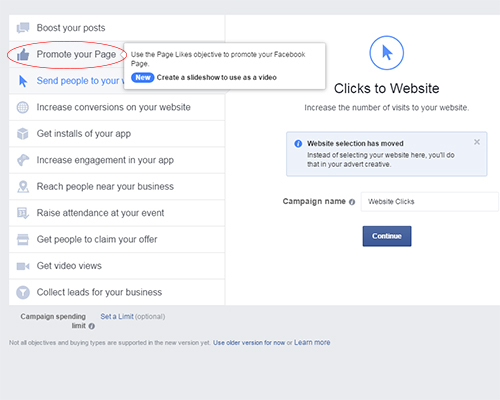 In ad options we can add a custom text and choose to which section of the Facebook page the users will be redirected after they click on the ad. On the right hand side we can check the preview of the add on Desktop and Mobile feed. There is a Pixel Tracking option available for more advanced users. Usage of pixel allows us to track the clicks to the website, creation of custom audiences of people who visited specific pages on the website and more. At this point I won’t explain about the conversion pixel as this requires an integration of tracking code in your website. I may write something about pixels in a separate post. After saving the draft a green “Review Changes” button appears in the right upper corner of the screen. If you click on the button a new window pops up. 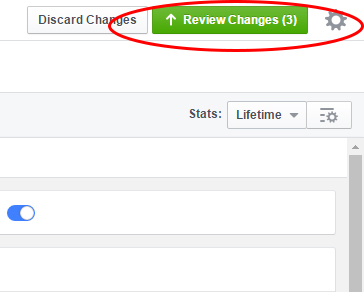 We review the changes and if everything looks good click on “Continue” button. 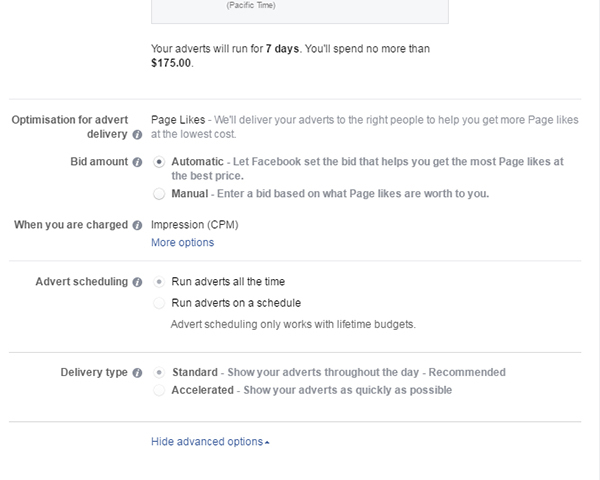 If the campaign was configured well the ad will be added to review queue of Facebook and will become active shortly. 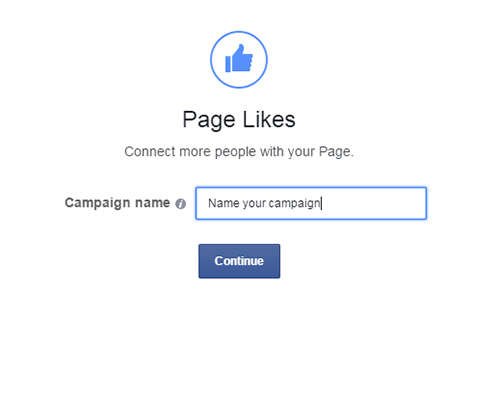 I hope this short guide will help you to setup a Facebook Likes campaign on your own. 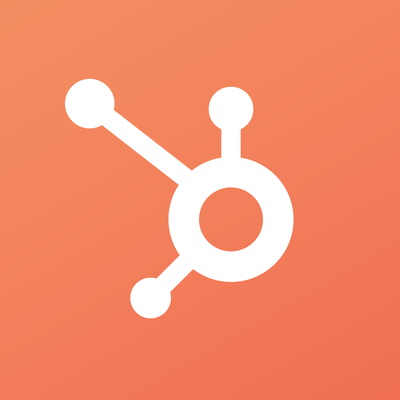 If you still have questions about any part of the workflow please feel free to comment. Good luck with your marketing efforts!